Went to Oso Ristorante today as a farewell lunch for my boss. It is a nice little place located in the corner shophouse along Bukit Pasoh Road. When we arrived, there was nobody downstairs so I thought we were the only ones. Turns out the 1st floor is the bar area and everyone else was upstairs. I heard that on weekends the bar is jammed packed with customers. 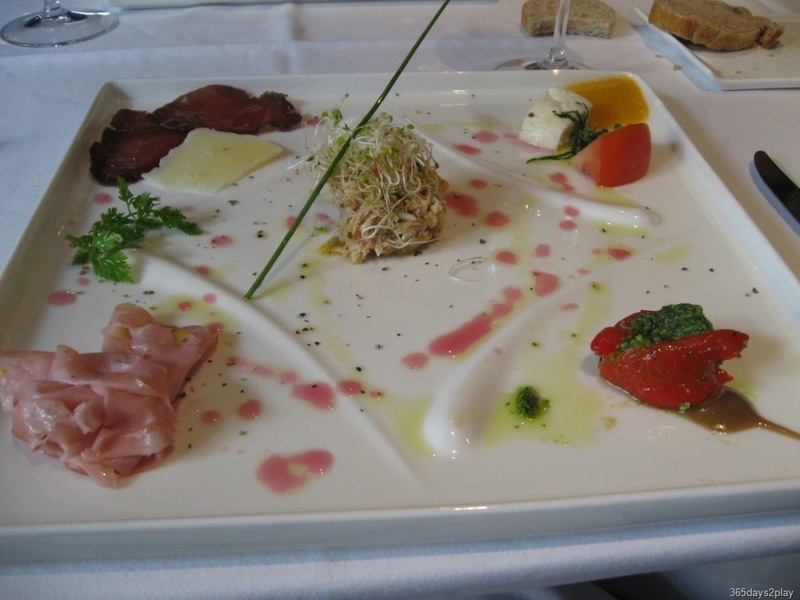 Nowadays there are just so many Italian restaurants in Singapore, it’s almost hard to choose. Oso Restaurant is but one of them, but the unique thing about Oso Ristorante is that it is located in a quaint shophouse. The place feels slightly cramped, perhaps due to the low ceiling, and I had to clamber past one chair in order to get to my own. However, the space didn’t bother me that much after we were seated, and the more positive amongst us would possibly consider it as simply a cosy restaurant. The decor was also pleasant and they had wooden planked floors. Be sure not to sit next to someone who rocks or shakes his leg or you might inadvertently get motion sick. They had a lunch set menu for $32 where you choose a starter, mains and dessert from a choice of 3 per section. It was quite hard for me to make up my mind because none of the items particularly called out to me. Still I did finally manage to shortlist the required 3. 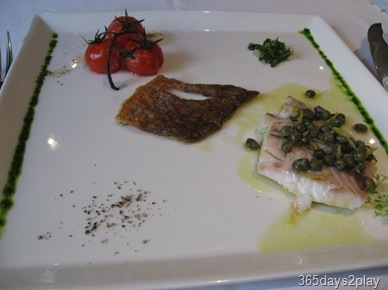 On the other hand, many of the a la carte dishes looked really interesting. In particular, I could just hear the Homemade Veal stuffed Ravioli with cheese fondue and mushroom sauce calling my name! And they are not too expensive either, at $23 for any pasta dish. In the end, we found out that the chef was willing to do a special “tasting” menu just for us s o we went ahead with that instead of the normal set menu. This is what we had. Delicious! 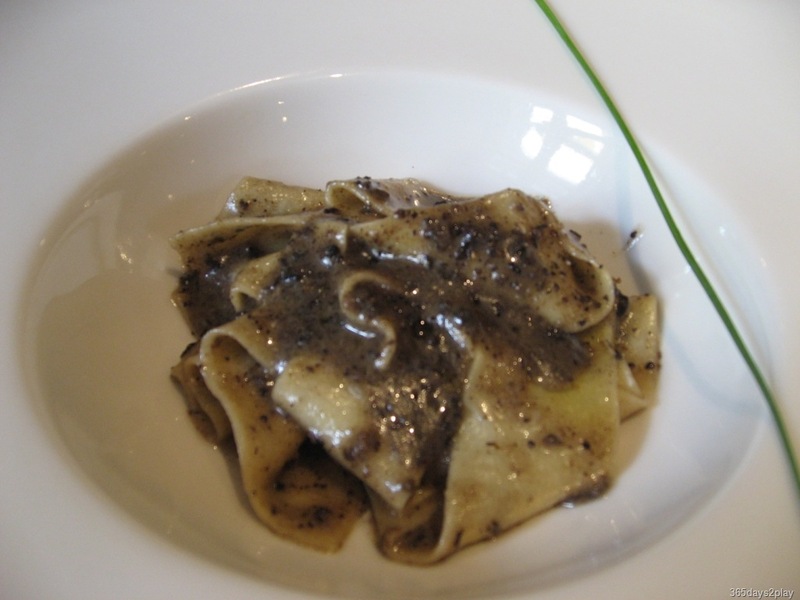 Main dish part 1 – Pasta with nutty truffle sauce! SO DELICIOUS! 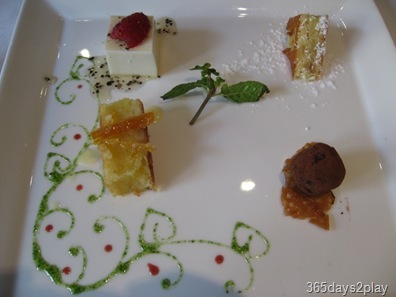 Dessert – Interestingly, the panna cotta (the white thing on the top left) had pepper bits on it. Wonder if it was a mistake, but it was a tasty mistake if any. Conclusion, good enough to bring AA, and definitely will do so in the near future.